Fourteen-year-old Jade Hameister had a dream: to complete the Polar Hat Trick. Fourteen-year-old Jade Hameister had a dream: to complete the Polar Hat Trick. In 2015, she skied to the North Pole. In 2016, she completed the Greenland Crossing. In 2018, she arrived at the South Pole. This is the story of an adventurer who never gave up - who set herself incredible challenges beyond her years and experience. An adventurer who endured extremes of cold and blizzards; treacherous terrain where one wrong step could be fatal; struggled through sastrugi, ice rubble and emotional lows to achieve an extraordinary goal. Along the way, she made a sandwich for online trolls, inspired young people, and made international headlines. 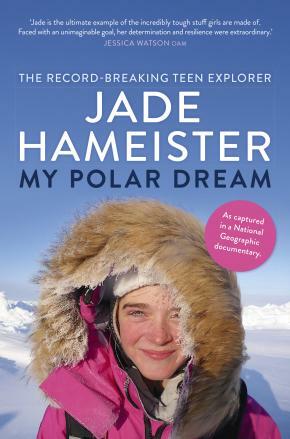 At sixteen, Jade Hameister became the youngest person in history to complete the Polar Hat Trick. Jade is: *The youngest person to ski from the coast of Antarctica to South Pole unsupported and unassisted * The first Australian woman in history to ski coast to Pole unsupported and unassisted * The first woman to set a new route to the South Pole * The youngest to ski to both Poles * The youngest to complete the Polar Hat Trick.